Dr. Ji now serves as Deputy Chief of Rheumatism Department of Taizhou People’s Hosptial. 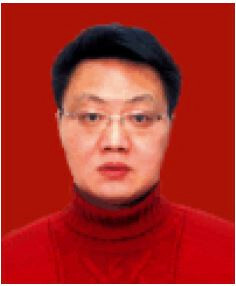 He was graduated from Nanjing Railway Medical College in 1993 and received training of cardiology in Zhongda Hospital of Southeast University in 2000. In 2007, Dr. Ji got his further training for Rheumatism in Shanghai Renji Hospital and was taught by celebrated Chinese rheumatologists there like Gu Yueying, Yang Chengde and Ye Shuang, to name just a few. Being the academic leader in rheumatism in Taizhou, Dr. Ji holds several critical posts as committee member of Rheumatology Department of both Jiangsu Medical Society and Jiangsu Association of the Integration of Traditional and Western Medicine (JSAIM). Dr. Ji is skilled in the diagnosis and treatment of diseases as rheumatoid arthritis, systemic lupus erythematosus, ankylosing spondylitis, sicca syndrome, scleroderma, gouty arthritis, dermatomyositis, systemic vasculitis. He has also accumulated rich experience in dealing with fever of unknown origin and severe conditions of lupus, dermatomyositis, scleroderma and vasculitis.